Home » america » cisco » MNC » san francisco » Cisco Systems, Inc.
Cisco Systems was founded in December 1984 by two members of Stanford University computer support staff: Leonard Bosack who was in charge of the computer science department's computers, and Sandy Lerner, who managed the Graduate School of Business' computers. Despite founding Cisco in 1984, Bosack, along with Kirk Lougheed, continued to work at Stanford on Cisco's first product which consisted of exact replicas of Stanford's "Blue Box" router and a stolen copy of the University's multiple-protocol router software, originally written some years earlier at Stanford medical school by William Yeager — a Stanford research engineer — which they adapted into what became the foundation for Cisco IOS. On July 11, 1986, Bosack and Kirk Lougheed were forced to resign from Stanford and the university contemplated filing criminal complaints against Cisco and its founders for the theft of its software, hardware designs and other intellectual properties. In 1987, Stanford licensed the router software and two computer boards to Cisco. In addition to Bosack, Lerner and Lougheed, Greg Satz, a programmer, and Richard Troiano, who handled sales, completed the early Cisco team. The company's first CEO was Bill Graves, who held the position from 1987 to 1988. In 1988, John Morgridge was appointed CEO. The name "Cisco" was derived from the city name, San Francisco, which is why the company's engineers insisted on using the lower case "cisco" in its early years. The logo is intended to depict the two towers of the Golden Gate Bridge. On February 16, 1990, Cisco Systems went public (with a market capitalization of $224 million) and was listed on the NASDAQ stock exchange. On August 28, 1990, Lerner was fired; upon hearing the news, her husband Bosack resigned in protest. The couple walked away from Cisco with $170 million, 70% of which was committed to their own charity. Although Cisco was not the first company to develop and sell dedicated network nodes, it was one of the first to sell commercially successful routers supporting multiple network protocols. Classical, CPU-based architecture of early Cisco devices coupled with flexibility of operating system IOS allowed for keeping up with evolving technology needs by means of frequent software upgrades. Some popular models of that time (such as Cisco 2500) managed to stay in production for almost a decade virtually unchanged—a rarity in high-tech industry. Although Cisco was strongly rooted in the enterprise environment, the company was quick to capture the emerging service provider environment, entering the SP market with new, high-capacity product lines such as Cisco 7000 and Cisco 7500. 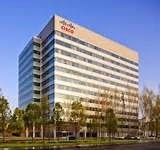 Between 1992 and 1994, Cisco acquired several companies in Ethernet switching, such as Kalpana, Grand Junction, and most notably, Mario Mazzola's Crescendo Communications which together formed the Catalyst business unit. At the time, the company envisioned layer 3 routing and layer 2 (Ethernet, Token Ring) switching as complementary functions of different intelligence and architecture—the former was slow and complex, the latter was fast but simple. This philosophy dominated the company's product lines throughout the 1990s. In 1995, John Morgridge was succeeded by John Chambers. The original MGM movie logo ! Pleneau Bay Iceberg, Antarctica ! This Ecosystem has been waterd once in 40 years! Central Park, Manhattan, New York, USA!